The First Battle of Fort Fisher, also known as the Expedition against Fort Fisher, fought from December 7 to December 27, 1864, was a failed attempt by Union forces to capture the fort guarding Wilmington, North Carolina, the South's last major port on the Atlantic Ocean. "Wilmington was the port into which the blockade runners were bringing so large a portion of the supplies necessary for the Confederacy that General Lee said if Fort Fisher fell he could not subsist his army." Fort Fisher was a Confederate fort during the American Civil War. It protected the vital trading routes of the port at Wilmington, North Carolina, from 1861 until its capture by the Union in 1865. The fort was located on one of Cape Fear River's two outlets to the Atlantic Ocean on what is today known as Pleasure Island. Because of the roughness of the sea and the Cape Fear River Defenses, it was known as the Southern Gibraltar. Fort Fisher was the stronghold that protected Wilmington and was considered the lifeline of the Confederacy. Without the formidable Fort Fisher, the Wilmington and Weldon Railroad that supported Lee's Army of Northern Virginia was vulnerable. While Fort Fisher was under constant bombardment, Grant, to the north, was engaged in the Siege of Petersburg and its railways. General William Henry Chase Whiting (1824-1865), commonly referred to as W.H.C. Whiting, was the top graduate in the class of 1845 at West Point, and he served brilliantly as an engineer in the United States Army until he resigned his commission and accepted service with the Confederacy in February 1861. 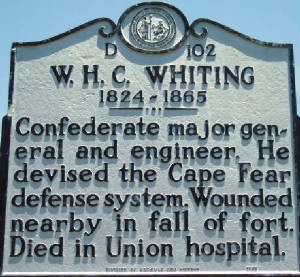 Assigned as commander of the Military District of the Cape Fear, Whiting played a vital role in the construction of Fort Fisher. Whiting, applying his engineering skills, designed and developed the most formidable seacoast defense system in the world, the Cape Fear defense system, which consisted of a series of strategically located forts and batteries along the lower Cape Fear River. On January 15, 1865, while leading a countercharge at the fort, he was shot twice in the leg and taken prisoner. General Whiting died as a prisoner on March 10, 1865, of complications from his wounds. Located on the coast near the mouth of the Cape Fear River, Fort Fisher protected blockade-runners as they dashed through the Federal blockade. Fort Fisher, the largest earthen fort in the world, was essential for the protection of the port of Wilmington. Work on the fort began soon after North Carolina left the Union, and more than a thousand Confederate soldiers and African American freedmen and slaves labored together on the construction. In January 1865, Fort Fisher had twenty-two cannon facing the Atlantic Ocean, and an additional twenty-five facing the land approach. South of Wilmington, along the Cape Fear River's last 20 miles (30 km), a handful of Confederate forts and batteries protected the daily flow of ships. Also, the channel had been purposely jammed with loads of wreckage and aquatic mines, which were called "torpedoes." The Confederate officers conducted and progressed each ship cautiously through this barrier. Fort Fisher, on Confederate Point, nicknamed the "Gibraltar of the Confederacy, and the Gibraltar of the South", was a formidable target commanding the Cape Fear River. It encompassed 14,500 ft. and was surrounded by a 10-foot parapet and a network of bombproofs, most of which were 30 feet high. Many obstructions were laid around it, including land mines (also referred to as torpedoes during the era), abatis, and deep ditches. There were more than 50 heavy cannon, including 15 Columbiads and a 150-pounder Armstrong gun, behind a 60-foot mound of earth near the sea, named the Mound Battery. The fort's garrison of 1,400 men was commanded by Colonel William Lamb. Additional reinforcements were available from General Braxton Bragg at Sugar Loaf, 4 miles away. The Union naval expedition, the Expedition against Fort Fisher, under Rear Admiral David D. Porter comprised the largest fleet of the war, nearly 60 warships plus troop transports for 6,500 soldiers. Learning that the Union troops had embarked from Hampton Roads on December 13, Confederate General Robert E. Lee dispatched a division under Major General Robert F. Hoke to reinforce Lamb. 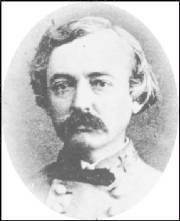 Union Major General Benjamin Butler and his Army of the James were assigned to an amphibious expedition against Fort Fisher. Lieutenant General Ulysses S. Grant had originally designated one of Butler's subordinates, Major General Godfrey Weitzel, to lead the expedition, but Butler, the senior major general of volunteers in the Army, demanded that he lead the troops himself--and Grant acquiesced. Butler did not coordinate the timing with Porter adequately, however, so that when his troops departed, Confederate reinforcements discouraged further Union attempts. The fiasco at Fort Fisher, specifically Butler's disobedience of his direct orders—orders which Butler failed to communicate either to Porter or to Weitzel—gave Grant an excuse to relieve Butler, replacing him in command of the Army of the James by Major General Edward Ord. President Abraham Lincoln, recently reelected, no longer needed to keep the prominent Republican in the Army and he was relieved on January 8, 1865. 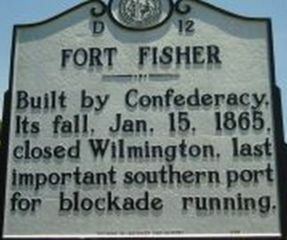 Although the initial Expedition against Fort Fisher had failed, subsequent Operations against Fort Fisher and Wilmington proved to be a Union success. 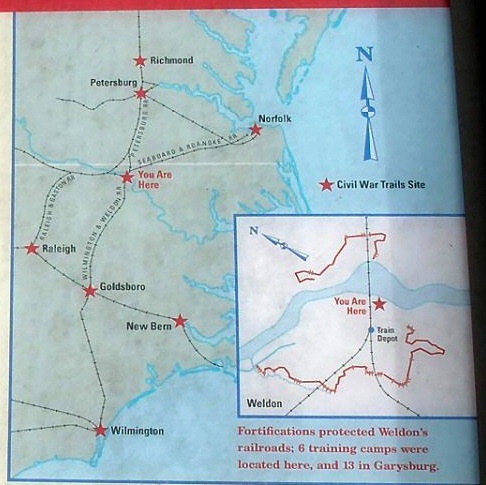 The Federals, with combined naval and land forces during these operations, attacked and bombarded Fort Fisher into submission and then captured Wilmington, Lee's main supply route to his Army of Northern Virginia. In concert with Grant's Siege of Petersburg, it was now only a matter of months until the Civil War concluded. Wilmington, North Carolina, was a major Atlantic Ocean port city for the Confederate States of America during the American Civil War. A vital lifeline for the fledgling Confederacy to trading partners in Europe, Wilmington was the last major port to fall to the Union Army. The strategically vital city of Wilmington is located 29 miles (50 km) upstream from the mouth of the Cape Fear River, which flows into the Atlantic Ocean. During the war, Wilmington was one of the most important points of entry for supplies for the Confederacy. Its port traded cotton and tobacco in exchange for foreign goods, like munitions, clothing and foodstuffs. 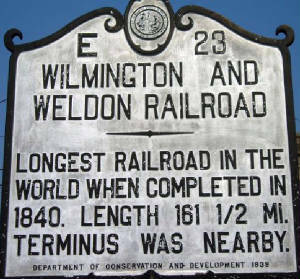 This nourished both the southern states and General Robert E. Lee's forces at Virginia (Wilmington and Weldon Railroad, Fall of Wilmington, and Siege of Petersburg). Trade was based on the "coming and going of steamer ships of British smugglers." These vessels were called "blockade runners" because they had to avoid the Union's imposed maritime barricade or blockade (The Union Naval Blockade of Wilmington, North Carolina). Mostly, the blockade runners came indirectly from British colonies, such as Bermuda, Bahamas, or Nova Scotia. Often, they were forced to fly the Confederate insignia since the Union had imposed the death penalty on British "pirates" captured in the region. The second try in January '65 brought General Alfred Terry's 9000-man army against 1500 ill-equipped defenders, climaxing in a bloody hand-to-hand struggle inside the bastion and an overwhelming Union victory. Although historians tend to downplay the event, it was nevertheless as strategically decisive as the earlier fall of either Vicksburg or Atlanta. Gragg has done a fine job in restoring this important campaign to public attention. Includes numerous photos. Fort Fisher Civil War Battles, by D. H. Hill, Jr.
A second attempt succeeded and arguably helped deliver one of the death blows to a quickly fading Confederacy. Hurricane of Fire is a work of original scholarship, ably complementing Rod Gragg's Confederate Goliath, and the first book to take a full account of the navy's important supporting role in the assault. Dedicated soldiers like William Lamb and W.H.C. Whiting turned the sandy beaches of southern New Hanover and Brunswick Counties into a series of fortresses that kept the Union navy at bay for four years. The mighty Fort Fisher and a series of smaller forts offered safe haven for daring blockade runners that brought in the Confederacy's much-needed supplies. In the process, they turned the quiet port of Wilmington into a boomtown. In this book that was fifteen years in the making, James L. Walker, Jr. has chronicled the story of the Lower Cape Fear and the forts and men that guarded it during America's bloodiest conflict, from the early days of the war to the fall of Wilmington in February 1865. References: Rod Gragg, Confederate Goliath: The Battle of Fort Fisher (1991); William R. Trotter, Ironclads and Columbiads: The Civil War in North Carolina, Vol. 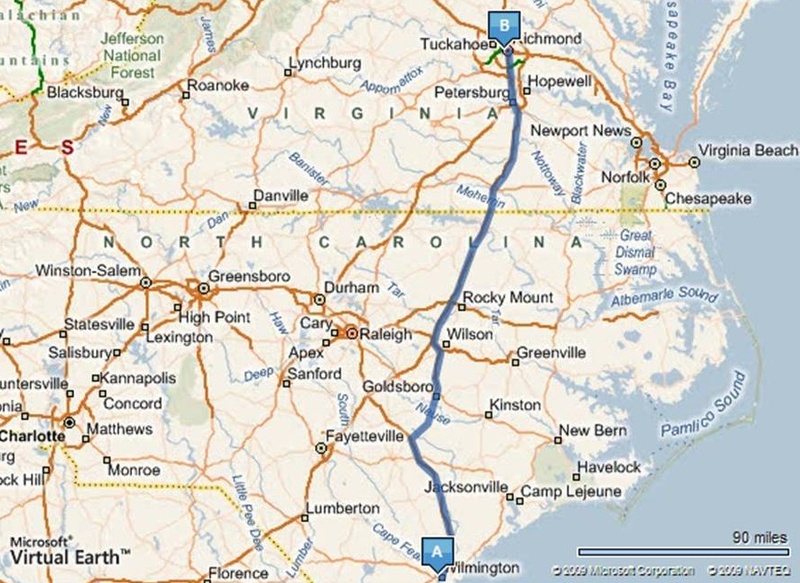 III, The Coast (1989); John G. Barrett, The Civil War in North Carolina (1963); Ezra J. Warner, Generals in Gray: Lives of the Confederate Commanders (1959); Chris Fonvielle, Jr., The Wilmington Campaign: Last Rays of Departing Hope (1997); Chris Fonvielle, Jr., Fort Anderson: Battle for Wilmington (1999); Mark A. Moore, The Wilmington Campaign and the Battles for Fort Fisher (1999); John B. Barrett, The Civil War in North Carolina (1963); North Carolina Museum of History; NC Office of Archives and History; Library of Congress; National Park Service; National Archives; D. H. Hill, Jr., Confederate Military History Of North Carolina: North Carolina in the Civil War.